Do you love your dentist? Our patients tell us they do. We’re family dentists that are here to make a difference, and you’ll feel it. Dr. Robert J. Sanders is an Aberdeen native, graduating from Aberdeen Central. He earned a BS degree in Biology from Northern State University. 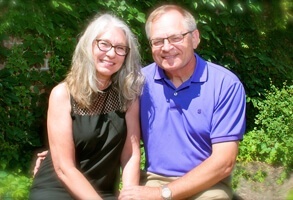 He graduated from Creighton University Dental School and has been practicing dentistry in Aberdeen since 1982. He is an active member of the American Dental Association, the Academy of General Dentistry, the Pierre Fauchard Academy and the Les Curtis Study Club. He is past Secretary Treasurer and President of the Northern District Dental Component of the South Dakota Dental Association. He enjoys practicing all phases of general dentistry with and emphasis on esthetic, prosthetics and restorative dentistry. He is certified in Lumineers® and Cerec® porcelain crowns. He and his wife Fern have 3 grown children and 10 grandchildren. His hobbies are music, guitar, fishing, hunting and playing with his grandkids. Dr. Jason Grebner was born and raised in Aberdeen. He graduated from Aberdeen Central in 1992. He earned a Bachelor’s degree from Northern State University, and then went on to graduate from Marquette University School of Dentistry in 2001 with his Doctorate of Dental Surgery. Dr. Grebner is a member of the Les Curtis Study Club, the South Dakota Dental Association and is the Secretary Treasurer of the Northern District. He is also a member of the school board at Aberdeen Christian. Dr. Grebner enjoys all phases of dentistry from single tooth restoration to full mouth makeovers. The majority of his patients are families with young children, but he has and enjoys seeing patients of all ages. Dr. Grebner is dedicated to the newest advancements in dentistry and strives to keep up-to-date with the latest technology. He believes in providing state of the art comprehensive care that is tailored to fit the lives of his patients. 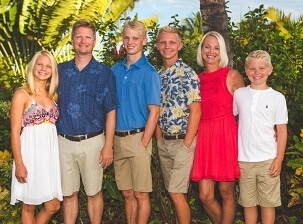 Dr. Grebner and his wife Heather have four children: Dan, Matt, Lilly and Joe. They enjoy attending their children’s swim meets. As a family they are active in outdoor activities and like to travel. Dr. Thomas J Kaiser was raised on a farm 25 miles NW of Ellendale, ND. He earned a Bachelor of Science in biology from the University of Mary in Bismarck, ND. He then attended Creighton University Dental School, and has been practicing dentistry in Aberdeen since May of 2008. Dr. Kaiser is an active member of the dental community. He is a member of the American Dental Association, the South Dakota Dental Association and the Northern District Dental Society. 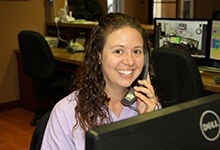 Dr. Kaiser believes in providing the most advanced dental care in a comfortable and at-home atmosphere. He is diligent in his pursuit to stay current in providing dentistry’s leading dental care procedures. Dr. Kaiser enjoys all phases of general dentistry, including the placement and restoration of implants. He strives to build professional patient relationships based on trust. 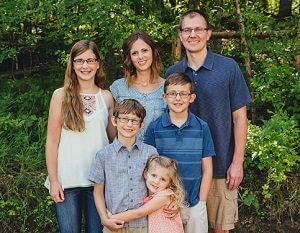 Dr. Kaiser lives in Aberdeen with his wife, Becky and their 4 children: Grace, Lincoln, Luke and Evalyn. He enjoys spending time with his family, outdoor activities and attending Green Bay Packers games in the fall.